ROYAL SQUARE NOVENA location is situated next to Novena MRT. It is located at the junction of Thomson Road and Irrawaddy Road. Royal Square Location is Conveniently situated next to Novena MRT Station, ROYAL SQUARE AT NOVENA enjoys excellent connectivity through the Mass Rapid Transit (MRT) system. The site is also highly accessible to the City Centre and rest of the island via Major Expressways and main arterial roads like Thomson Road, Newton Road and Moulmein Road. ROYAL SQUARE AT NOVENA is located within an established commercial hub at Novena near Novena MRT Station, which is located at the fringe of the city and a stone’s throw away from Orchard Road. This area is home to many existing commercial developments, such as Velocity@Novena Square, United Square and Square 2. 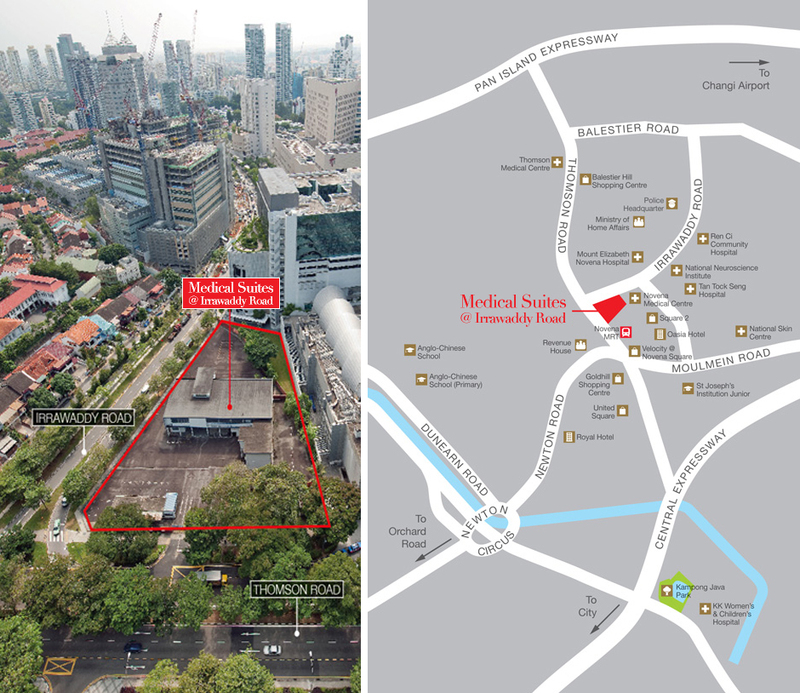 The Novena planning area is a well-known medical hub, with Tan Tock Seng Hospital, Novena Medical Centre, National Skin Centre, National Neuroscience Institute and Mount Elizabeth Novena Hospital all located within the vicinity. 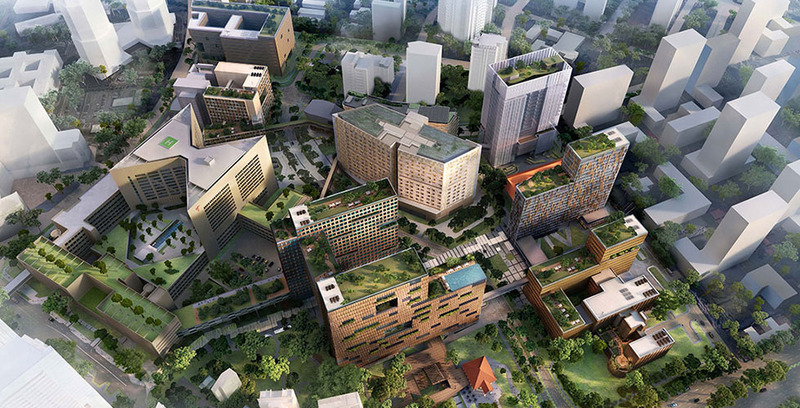 ROYAL SQUARE AT NOVENA will serve to provide hotel accommodation and commercial services supporting the surrounding hospitals and medical hub.